Global premier mobile phone brand TECNO Mobile has finally launched Camon i4. 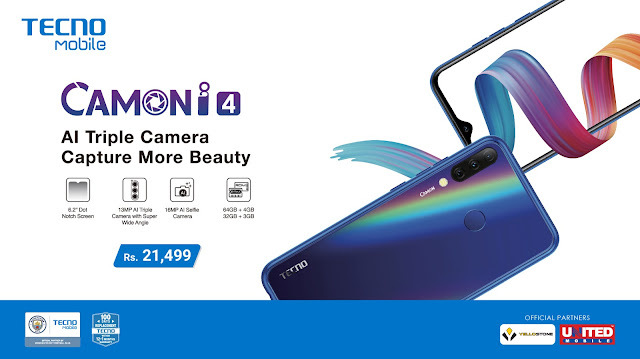 It is the first ever Triple AI Camera phone that stands out with the product slogan of “Capture more beauty” added with 6.2 inch dot-notch display in the Camon Series. The prestigious and glittering event for the launch of Camon i4 took place in the Royal Palm Golf and Country Club of Lahore. With the official launch, the price tag has also been announced at PKR/- 21,499. The opening speech was done by Higer Zhao, the Global Vice President of TECNO Mobile while Han Lu, the Global Marketing Director of TECNO Mobile detailed and enlightened the audience about the successful journey and ventures of TECNO Mobile that it has taken till now. 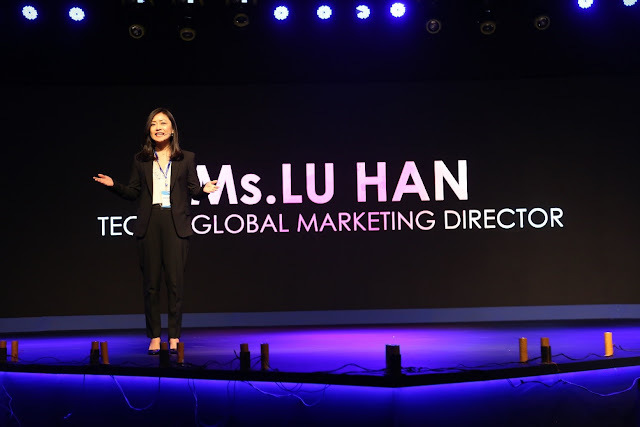 She further explained why brand strategy of TECNO Mobile is the best strategy in the market. 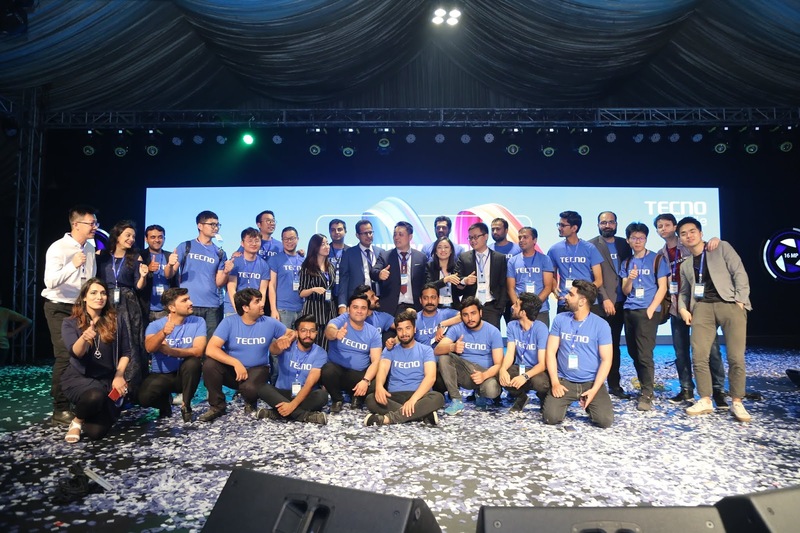 Higer Zhao, the Global Vice President of TECNO Mobile, while addressing the occasion said that TECNO has come far from being an entrant to being a market hit in Pakistan. 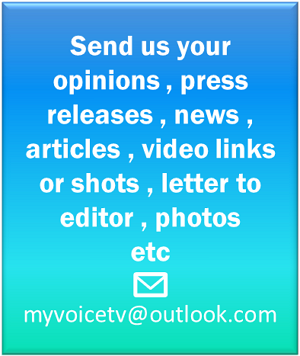 Tiny steps taken have converged into big milestones and achievements. It is just because of the efforts, dedication and trust of our customers that we were able to come at par with the other brands. Today as we launch Camon i4, we reiterate that we will never compromise on quality and the trust of our customers. Camon i4, the star of the evening has come up with two very peculiar and the latest of the gadgetry and serves as the first device in which these have been provided. First is a triple camera with more beautiful modification to the bezel, while the other is addition of a dot-notch to the screen. Dot-notch is the latest trend in the market and gives away more of screen space to user. Apart from these two distinctive features Camon i4 has been equipped with a 2.0 QuadCore processor, Android 9.0 Pie, a 3GB RAM, 32GB internal storage and a 3400 mAh powerful battery. Camon i4 comes in eye-catching colors of Midnight Black, Champagne Gold, Aqua Blue and Nebula Black.